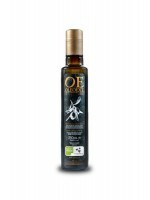 250 ml Extra Virgin Olive Oil (EVOO) glass bottle. Round bottle of smoked black color, safety seal and non-refillable stopper with spout integrated. Highlighted for catering establishments: Gourmet quality extra virgin olive oil packed in robust glass that provides high protection to the factors of the product. Shipping policy. We make sure that the product reaches you in the best conditions of consumption. Return policy. If there is a problem with your order, we are at your disposal to solve it. 250 ml / 8.45 fl. oz. 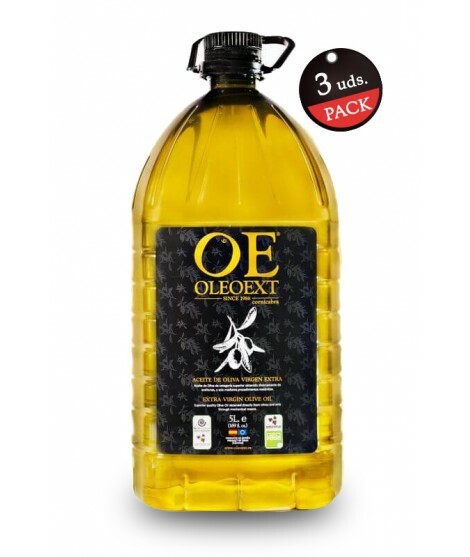 Extra Virgin Olive Oil (EVOO) glass bottle. Round bottle of smoked black color, safety seal and non-refillable stopper with spout integrated. Highlighted for catering establishments: Gourmet quality extra virgin olive oil packed in robust glass that provides high protection to the factors of the product. Compatible with most convoy designs for salads. Excellent value for quality-money-size. - Cornicabra variety : With intense flavor, it has achieved versatility for use in cooking, always enhancing the flavor of food. 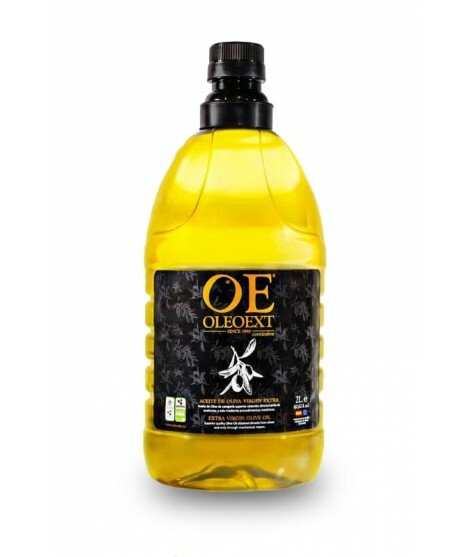 It helps to produce high-performance chips, roasts and stirs well as a sauté and when used in fried pastries. - Picual Variety: The quality of our product stands out in the persistence of its taste as apparent in a slightly spicy flavor. The unique taste proves to be ideal in order to enhance flavors in meats when marinated, prepared raw salads, and any dish that requires intense flavor with fruity aromas. - 6 bottles compilation, 3 units (Cornicabra variety) and 3 units (Picual variety). - 24 bottles compilation, 12 units (Cornicabra variety) and 12 units (Picual variety). Press: Mechanical means incorporating the newest generation of cold press techniques(18ºC/ 64,4ºF). Filter: Double process: Micron and land filter. Highest purity without sediment. GEOfood Certificate: distinctive of the European Geoparks network that accredits quality products and gastronomy made with respect for the environment and taking care of local food traditions.